The park itself is located just north of the Greek village of Ionnina. The park itself is located in the Pindus Mountains, and is especially accessible from the nearby village. The easiest way to get to this area after landing in Athens is to rent a car or take a bus and head to Ionnina. However, it is important to note that it is around a six hour drive from the airport depending on the traffic, which means that this may not be a feasible journey to take once you arrive in the city. 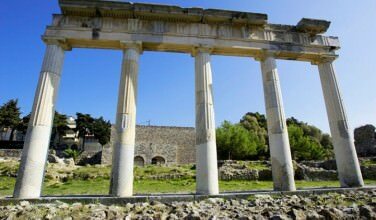 You may opt to spend time in Athens or explore some of the areas along the way before you finally settle in Ionnina to visit the national park. Vikos–Aoös National Park has been an official national park since 1973 and since then, visitors from all over the world have flocked here to enjoy it. This park is most known for its massive gorge, called Vikos Gorge, which stretches through a length of the park for approximately ten kilometers. Water flows through the gorge and this water eventually flows into a fixed river. Although the gorge makes up much of the park, there is also a stretch of area that belongs to the park that isn’t part of the gorge, including two villages, Mikro Papigo and Megalo Papigo, and a kale area that also has a valley surrounding it. Once you get to the park, there are some ways that you can spend your time. You won’t want to miss the chance to view the Vikos Gorge, but you should also see other sites, such as the Papingo Rock Pools and Lake Drakolimni. In order to see all the sites you can simply rely on driving through the park and viewing what you can from the road, or you can head to some of the more tucked away places that you can only get to on foot by hiking. However, if you do opt to go for a hike, make sure you are prepared and bring plenty of water and snacks in order to have a pleasant time. Because the climate is dry, it is easy to underestimate how much water your body really needs. 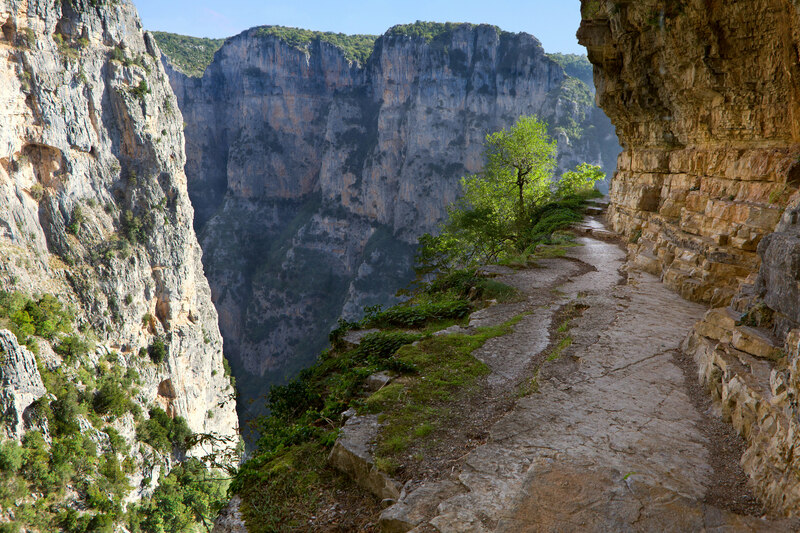 The Vikos–Aoös National Park is one of the most beautiful parks in all of Greece. 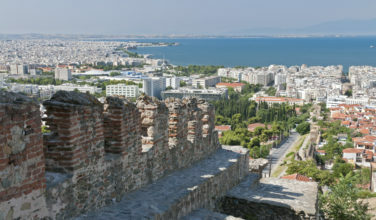 When visiting mainland Greece, you should take the time to see the sites here!